Linc Energy has come under fire from the Department of Environment and Heritage Protection (DEHP) for breaching environmental laws, however the coal seam gasification company denies any wrongdoing. The DEHP has filed charges against Linc Energy for causing serious environmental harm, a charge for which each individual offense carries a maximum penalty of $2.2 million. Minister for Environment and Heritage Protection Andrew Powell said the charges followed a detailed nine- month investigation in relation to the company’s experimental underground coal gasification (UCG) plant near Chinchilla. “While the harm allegedly caused to the environment is considered serious, the information available to the department suggests there is no immediate risk to neighbouring landholder water bores,” Powell said. “This government has implemented a regulatory strategy that is designed to get our staff out from behind their desks and onto the ground to ensure all operators meet their environmental obligations. The two UCG technology pilot trials in Queensland are both entering a decommissioning phase. A spokesman for Linc Energy has said that the company will fight the charges, and that this will not affect commercial or ongoing operations. "The company is disappointed the department has never attempted to fully understand the underground coal gasification process and these charges are misguided," he said. "In addition, Linc Energy is disappointed that the department has not afforded it the opportunity to respond to the allegations throughout the 'detailed' investigation." "The charges relate to older style underground coal gasification technology that Linc Energy was researching several years ago and is no longer pursuing. "Linc Energy's developed, and commercial ready, underground coal gasification technology is not included in these allegations." 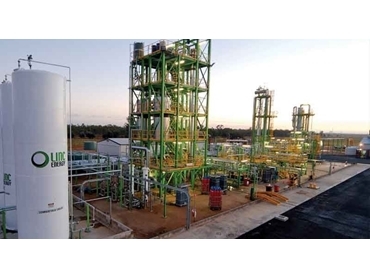 The spokesman said Linc Energy completed its research and development program at Chinchilla in October last year, and that both UCG technology pilot trials are entering the decommissioning phase. Lock the Gate national president Drew Hutton said the Government’s decision to release a statement about the charges, devoid of details and on Friday at 5pm was "a cynical act". "Releasing this important information at 5pm Friday and on the night a major cyclone was about to hit the state was obviously designed to ensure as few people as possible read about it," Hutton said. "This underground coal gasification technology is highly dangerous and the State Government should never have allowed it… Any sensible government would ban it now." He called on the government to release all details including specifically what damage was done, and when and where it occurred. "The Newman government is allowing dirty and dangerous experiments in Queensland with unsafe technology including UCG, coal seam gas, shale gas and shale oil," he said.